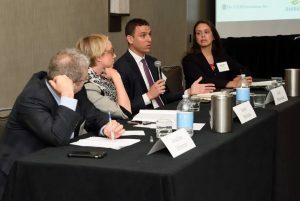 USCIB Hosts Business & Human Rights Symposium | USCF | The USCIB Foundation, Inc.
USCIB teamed up with Barrick Gold and Article One Advisors on September 13 to hold a symposium—Human Rights and Remedy in Business Relationships with Limited Leverage. The symposium was hosted by Marriott International and held under Chatham House Rule. 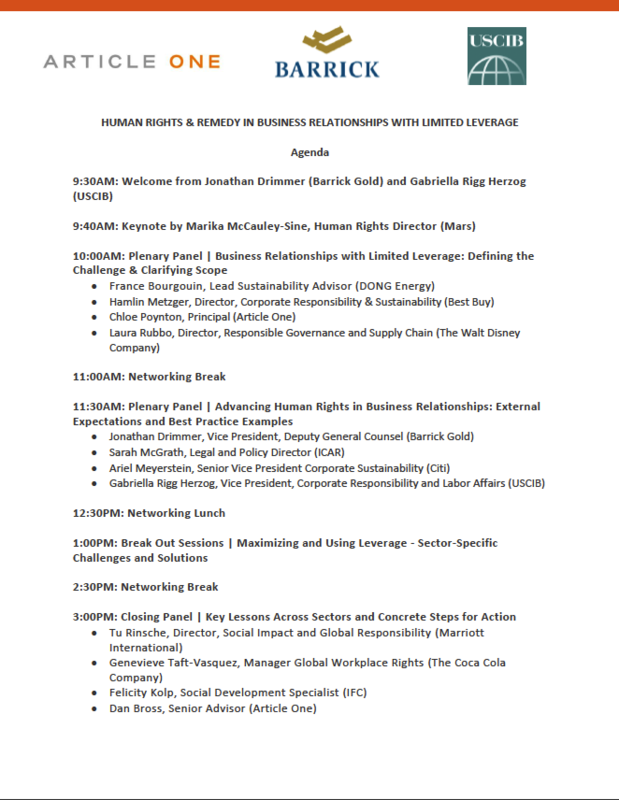 Businesses often have different types of leverage that can be used to help promote corporate responsibility and respect for human rights in their operations and with their business relationships. Contracts provide a clear source of leverage, such as agreements with business partners or sourcing agreements with direct suppliers. This leverage can also extend to using business relationships influence to help promote greater access to judicial and non-judicial remedy for victims – in keeping with the United Nations Guiding Principles on Security and Human Rights (aka Guiding Principles).